The name James Righton may not easily ring a bell but he is definitely one fellow you need to know. Righton is an award-winning English singer and songwriter. He has had a successful career both as a band member and a solo act. Additionally, James Righton is also the husband of popular English actress, Keira Knightley. Find out more about him here including his biography and net worth. James Nicholas Righton was born on the 25th of August 1983. He is a native of Stratford-upon-Avon – the famous birthplace of renowned English poet and playwright Williams Shakespeare. With regards to his family background, his father’s name is Nicholas and he has a brother named Bill. There is not much information about his mother. James Righton fell in love with music at an early age. This was largely due to the influence of his father who was a musician. His father encouraged him to pursue music actively. As such while studying at Stratford-upon-Avon High School, he joined several local bands. On graduating, James Righton found work as a music teacher. He also used his spare time to pursue a breakthrough in his music career. This breakthrough came in the year 2005 when he met two other aspiring musicians namely Jamie Reynolds and Simon Taylor Davis. The trio joined forces and formed the rock band, Klaxons. The band released their first two singles, Gravity’s Rain and Atlantis to Interzone in March and June 2006 respectively. The songs received significant airplay and it spurred the band into releasing their debut EP titled Xan Valley in October of 2006. James Righton and his bandmates dropped their first album, titled Myths of the Near Future, in 2007. Since then, they have released other albums such as Surfing the Void (2010) and Love Frequency (2014). The Klaxons have won several awards including Best Album at the 2007 Mercury Prize; Best New Band at the 2007 NME Awards; Best New International Band, Best New International Live Act, and Best International Track at the 2008 NME Awards USA. 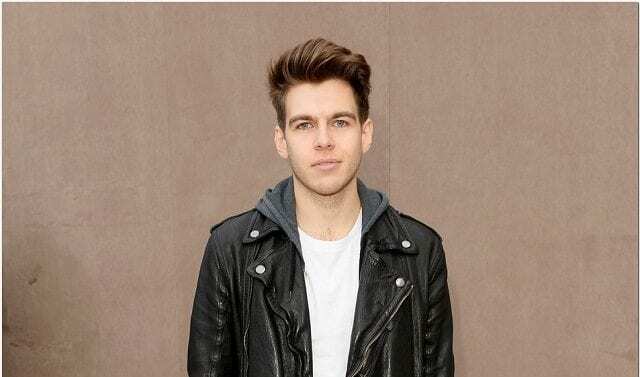 The Klaxons disbanded in 2015 and James Righton is now a solo act under the name Shock Machine – he released his self-titled debut album in 2017. Apart from making his own music, Righton also makes music for others. He has written songs for other bands such as Chemical Brothers and Honeyblood. He has also worked on the score of movies such as Benjamin and William. Both movies were directed by English comedian and filmmaker Simon Amstell. 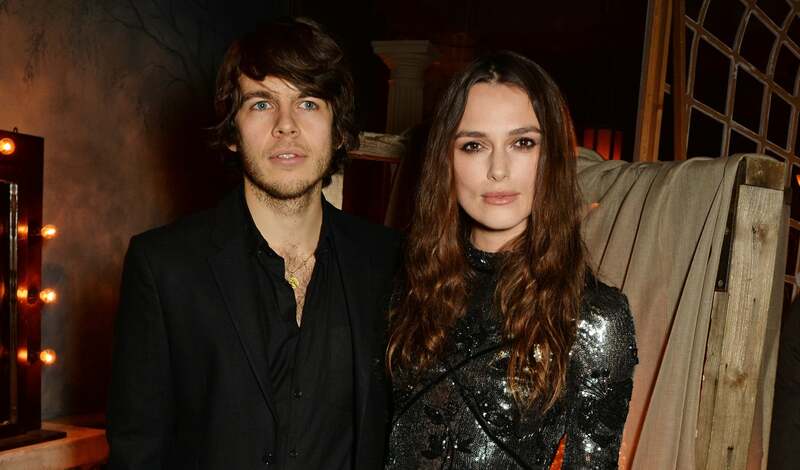 James Righton is married to star actress, Keira Knightley. James Righton and Keira Knightley began dating in February 2011 after being introduced by a mutual friend, model – Alexa Chung. They got engaged in May 2012 and tied the knot on the 3rd of May 2013. The beautiful ceremony took place at the Knightley family estate in Mazon, Southern France. Even though the couple is both celebrities, their wedding was a low key affair rather than an extravagant one. The wedding itself had only 12 guests while 50 people attended the reception. Amongst the guests were members of the Klaxons, actress – Sienna Miller and fashion icon – Karl Lagerfeld. Keira Knightley is also English and was born on March 26, 1985, in London. She commenced her career at the age of 6, appearing in commercials and TV sitcoms. She got her big break in 2002 when she starred in the sports comedy Bend it like Beckham. The movie was an inspirational story about two girls determined to play football no matter the consequences. The movie was a box-office hit and propelled Knightley to stardom. Since that breakthrough, she has appeared in movies such as Pirates of the Caribbean, Atonement, The Imitation Game and Pride and Prejudice, etc. Keira Knightley has received numerous awards including two Oscar nominations. She also received an OBE from the Queen of England in 2018. Righton and his wife have a daughter together. Her name is Edie Knightley and she was born in May 2015. James Righton’s net worth is still under review and as such, not yet available. However, there is no doubt that he must be making a good sum from his music career. His wife, on the other hand, has a fortune worth $50 million. Knightley made her wealth from her highly successful career as well as endorsement deals. She has served as the face of Chanel’s Coco Mademoiselle Fragrance. Despite her enormous wealth, Knightley is renowned for her frugality. She learned this trait from her parents who were also actors. They taught her that as a movie star, you can make a lot of money in one day and then lose it all in one day.